DUBAI: Livingstone powered Karachi Kings to thumping 5-wicket victory over Multan Sultans in the 24th T20 match in the fourth edition of the Pakistan Super League (PSL) at Abu Dhabi on Monday night. Karachi Kings won the toss and opted to bowl first. Multan Sultans were restricted to 118 runs for seven wickets by Kings. Chasing a target of 119, Ahmed Shahzad and Livingstone’s tremendous performances helped Karachi Kings win the match. 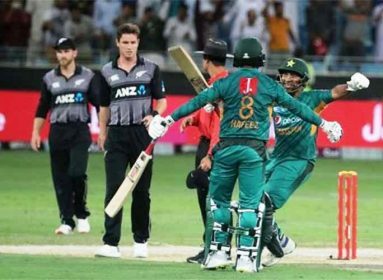 The five-wicket loss in the must-win match against Karachi Kings has virtually knocked out Multan Sultans from the playoff stage of the game. Sultans, led by Shoaib Malik, managed to win two games off nine played matches. Multan Sultans’ batting lineup once again failed to produce desired results as the team managed to score only 118 runs. While Livingstone’s half-century off 42 balls took Karachi Kings to victory. 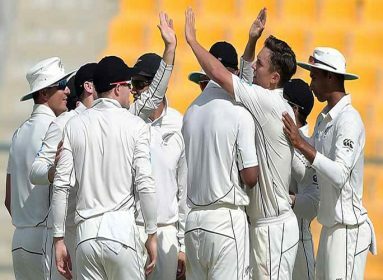 Fast bowler Usman Khan Shinwari picked four wickets while spinner Umar Khan bagged three. 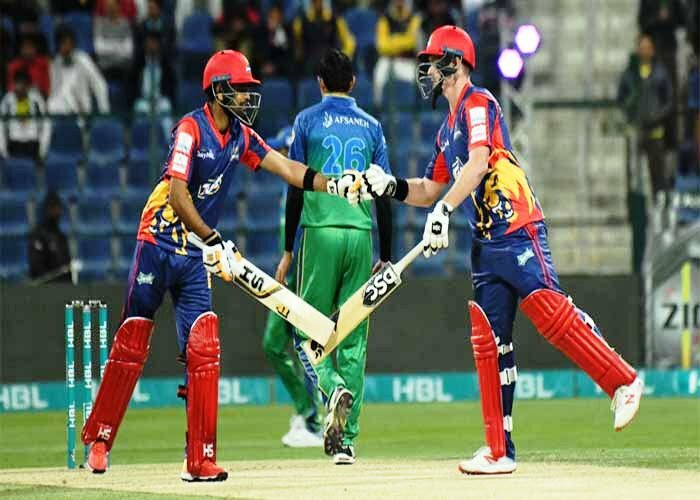 Multan Sultans were restricted to 118 runs for seven wickets by Karachi Kings in the 24th T20 match in the fourth edition of the Pakistan Super League (PSL) at the Sheikh Zayed Stadium in Abu Dhabi on Monday night. Karachi Kings captain Imad Wasim has won the toss and elected to bowl first against Multan Sultans in the 24th T20 match in the fourth edition of the Pakistan Super League (PSL) at Abu Dhabi on Monday night. The second match on Monday, the 24th overall, also at Abu Dhabi, will be played between Karachi Kings and Multan Sultans at 9:00 pm. Both teams are at the bottom of the points table but the Kings are looking favourites as they are placed fifth with a better net run rate (-0.58) compared to the Sultans, who are down to the sixth position with the lowest NRR (-0.58). Each of the two teams have so far played seven matches, winning three and losing four. In their previous encounter, Karachi defeated Multan by seven runs at Dubai on Feb 15. The highest total in an innings made by the Sultans is so far 200/6 against Lahore Qalandars at Sharjah on Feb 22 whereas the highest score by the Kings is 188/4 (vs Quetta Gladiators at Sharjah on Feb 24. The highest run-scorer for Multan Sultans is their captain Shoaib Malik, who has made 240 runs (ave 48.00) in eight games with two fifties. The batsman, who scored the most runs for Karachi Kings, is Liam Livingstone – 227 (ave 32.42) in seven matches with two fifties. Left-arm fast bowler Mohammad Amir has captured the most wickets (9 at an average of 22 in seven matches with one four-wicket haul. There are two highest wicket-takers for Multan Sultans. Both have grabbed eight wickets. One is leg-spinner Shahid Afridi with an average of 19.37 and other is fast bowler Junaid Khan with an average of 24.00. Karachi Kings: Liam Livingstone, Babar Azam, Colin Ingram, Imad Wasim (captain), Sikandar Raza, Mohammad Rizwan, Sohail Khan, Mohammad Amir, Usman Shinwari, Umar Khan, Aamer Yamin, Ben Dunk, Iftikhar Ahmed, Usama Mir, Ali Imran, Colin Munro, Awais Zia. Multan Sultans: Shan Masood, Tom Moores, Lauri Evans, Andre Russell, Shahid Afridi, Hammad Azam, Chris Green, Mohammad Ilyas, Junaid Khan, Mohammad Irfan, James Charles, Ali Shafiq, James Vince, Daniel Christian, Shakeel Ansar, Nauman Ali, Umar Siddiq. 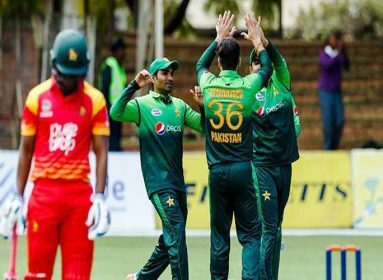 2nd ODI: Pakistan beat Zimbabwe by nine wickets in second ODI.